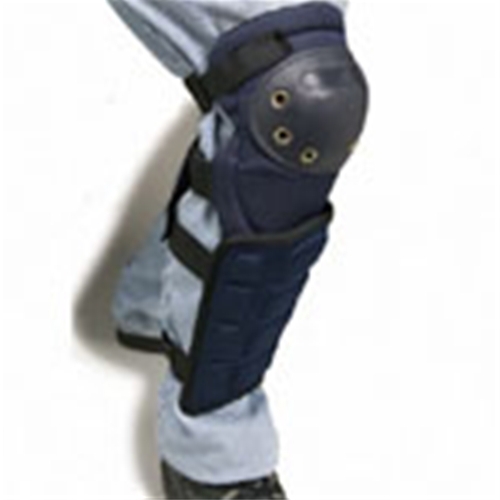 EVA foam insert offers maximum comfort and protection with any knee pad. 3 1/2 inch nylon band with hook-and-loop closures loops around lower knee pad strap to attach the Shin Guard to the knee pad. Two adjustable elastic straps with hook-and-loop closure allow for a perfect fit and can be used with all knee pads.